Because street signs aren't enough. 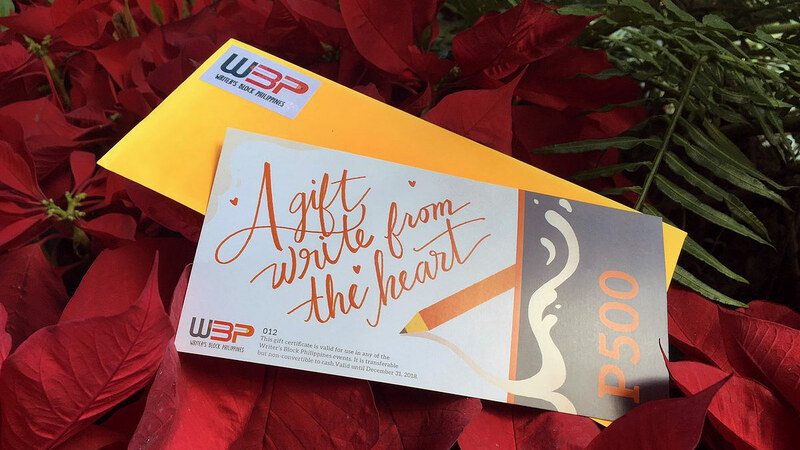 (SPOT.ph) Earlier this year, 23-year-old freelance photographer Francis Rafael Abian, a.k.a. 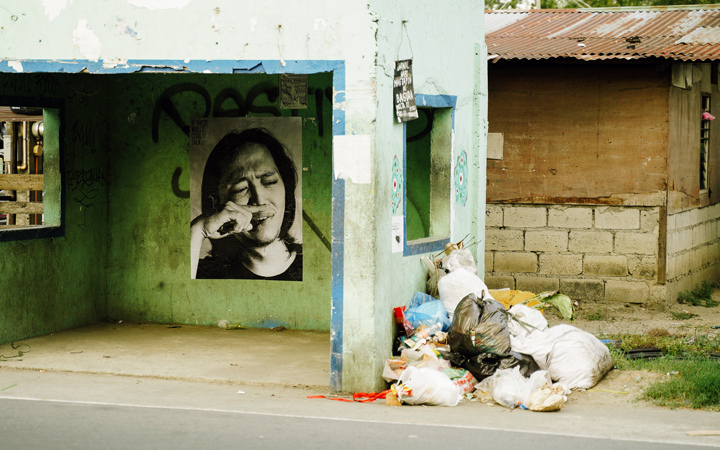 Abes (pronounce as "Eybs") put up portraits of yawning people all over Cavite. The unusual project not only explored the concept of contagious yawning, but also served as a reminder to take breaks. 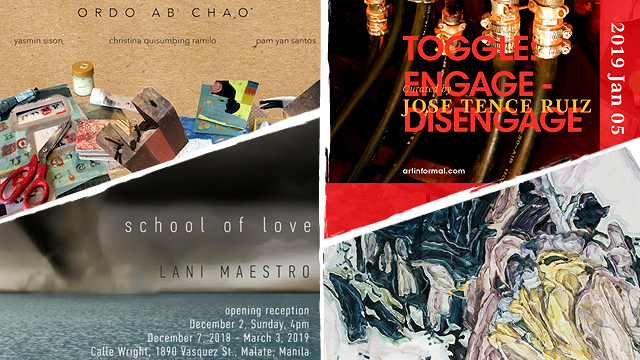 This December, Abes takes on another important national issue—the Philippines' waste-management problem—and turns it into art. 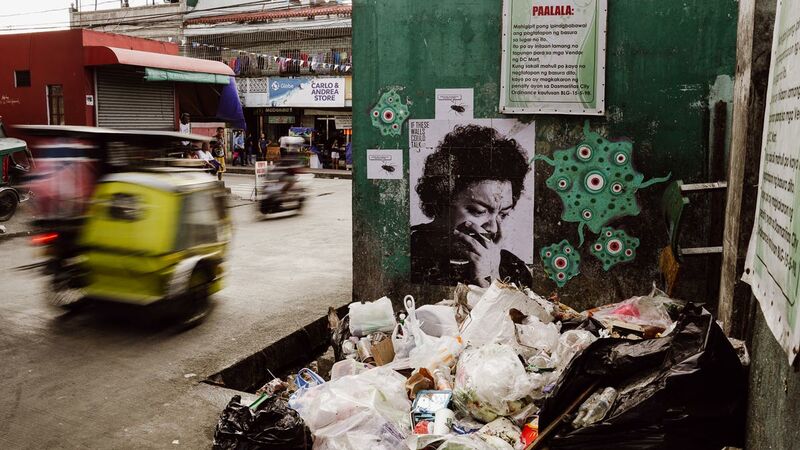 You'll see portraits of people obviously grossed out by piles of garbage all over the streets of Dasmariñas, Bacoor, General Trias, and Rosario in Cavite. 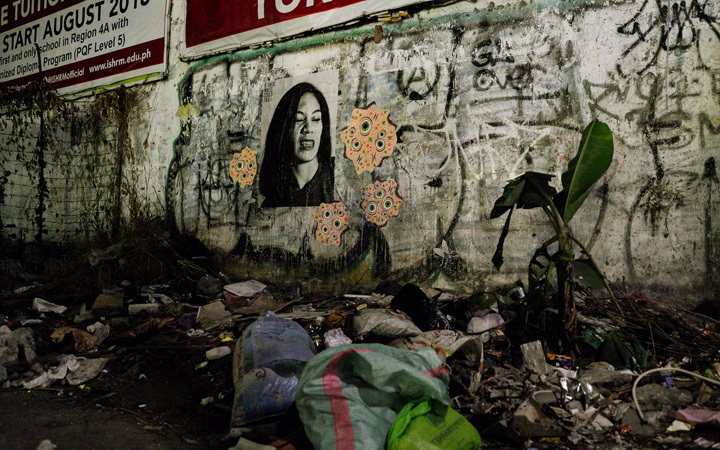 Like Abian's first project, "If These Walls Could Talk" incorporates the street art technique of wheatpasting into photography. "Through this medium, like other street artists, I believe that somehow, we could bring art to public places, for public viewing. Something that you don't usually see in art galleries," he explains. 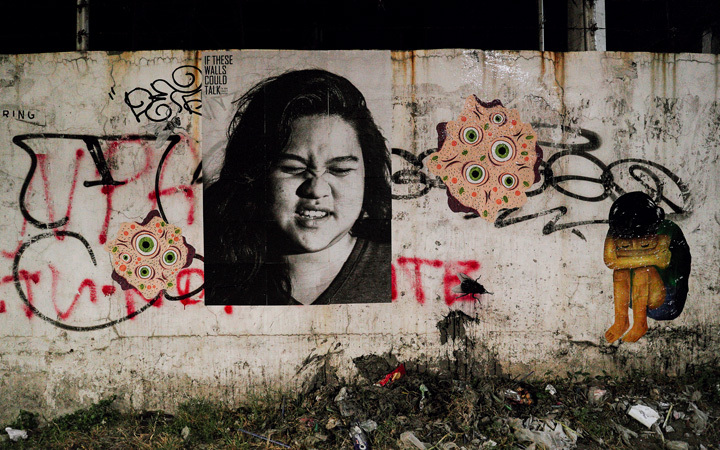 He also takes inspiration from photojournalist Noel Celis, who has a collection of photographs taken in a local trash dump, as well as street artist Lee Salvador, who placed images of Sesame Street characters on trash bins and garbage piles. 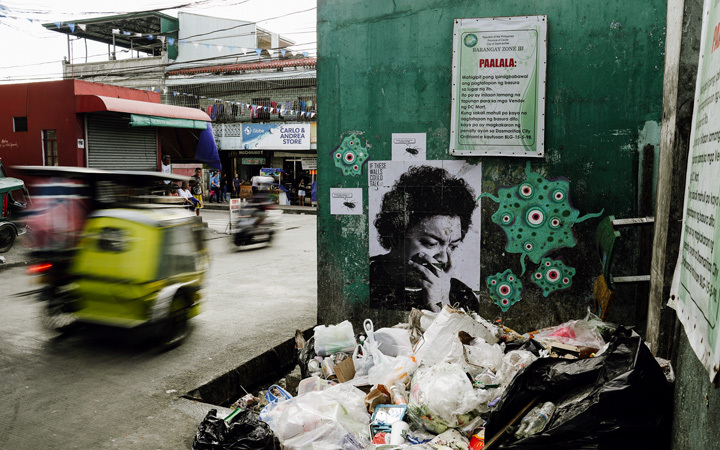 "The locations I picked to paste these portraits are walls where people would usually dump their trash and waste, even though there are already warning signs that [are meant to] prevent them from doing it. I thought that maybe, placing portraits of irritated and grossed out people would be more effective, instead of warning signs only. I also hope that this project would be a public call to the local government officials of that certain area, that maybe they can do something to improve their waste disposal programs," Abian continues. The project was made possible through the help of his fellow street artists, the WLRS Crew. Another local street artist known as Idea made large cutouts of bacteria-like art to be placed around the photographs. After posting a call for volunteers on social media, six individuals agreed to have their portraits taken. The large printouts were then posted on walls for two consecutive weekends. "All in all, the timeline of the project took almost two months, because we were also busy with our own jobs and I had to save enough funds first, but the actual process only took six days to execute, with long idle days in between," the artist relates about the process. 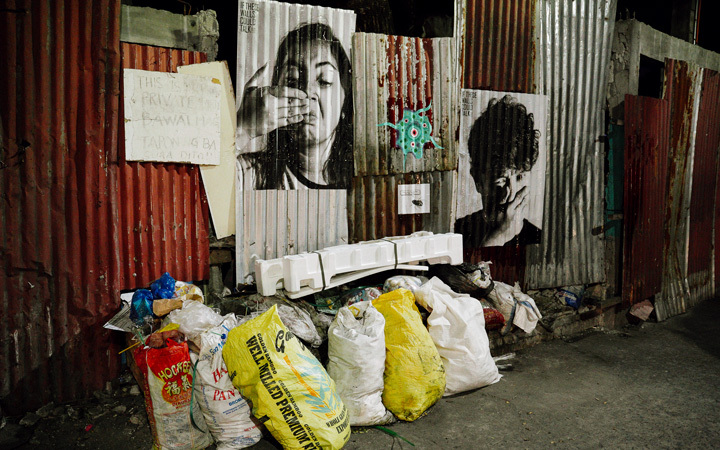 If you want "If These Walls Could Talk" in your own town (to pressure your local government to do something about the garbage problem), Abian is willing to send materials. All you have to do is paste them on walls, waiting sheds, and other public areas that are being illegally used for dumping trash. Hey, if mamang tubero can post his signs everywhere, we think photos that serve a purpose deserve their own spots on Manila's walls, too. To get in touch with Abian, follow him on Facebook or e-mail abesabian@gmail.com.